Try this simple craft idea to turn an ordinary glass bottle into something special. 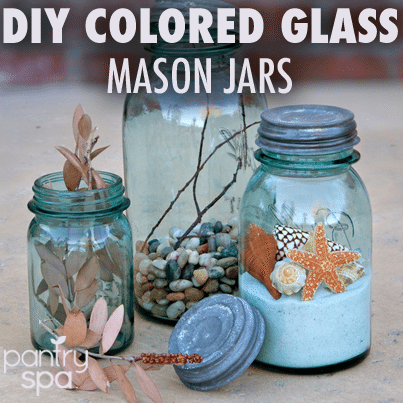 You can make waterproof colored glass bottles and mason jars easily. Have you ever found a vintage glass bottle at a yard sale or thrift store and taken it home to use as a vase? It is a great way to affordably decorate any space. Sometimes, though, that plain old clear glass can just get boring to look at, and if you are trying to save money by not purchasing expensive vases, you’re really stuck between a rock and a hard vase…er…place.